The Last Kingdom is back in action. Digital Spy reports season three will premiere on Netflix later this year. Based on the novels of Bernard Cornwell, the historical drama takes place in England during the 9th century AD when the land is divided into separate kingdoms. The cast includes Alexander Dreymon, David Dawson, Emily Cox, Ian Hart, and Tobias Santelmann. On Twitter, star Alexander Dreymon announced season three of The Last Kingdom is currently in production and will premiere on Netflix later this year. What do you think? 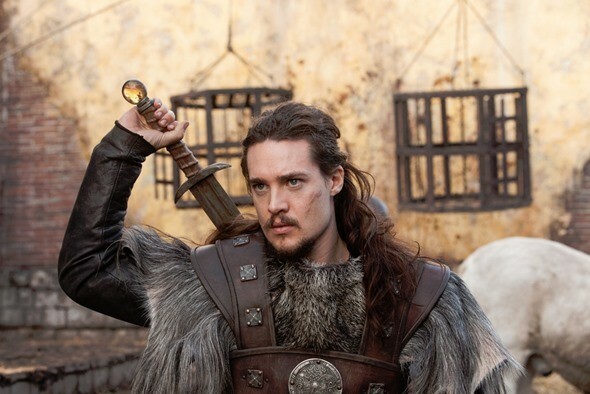 Are you a fan of The Last Kingdom? Will you watch season three? Love this show! Cant wait for new season!!!! I just finished watching season 1 and 2 , now I started watching again with my daughter while waiting for season 3 . Best show ever . Can’t wait to hear him say I am Utrid Son of Utrid. I laugh everytime he says that. Fantastic news, series three, I can’t wait. One of the best shows ever. I am so glad that this series will return! It is excellent!! I love the show. I’ve read the books it is based on & it brings the books to life!! Cool news. I love this series so much. Great News! This has been a favorite show and I am looking forward to seeing how some of the unfinished story turns out! !